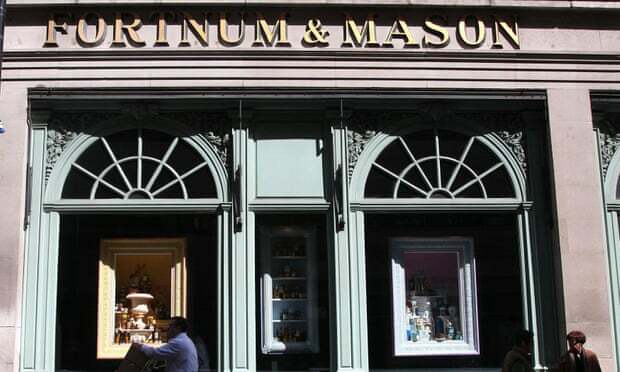 Fortnum & Mason is to take its tea to China’s doorstep, with the opening in September of its first standalone overseas store in Hong Kong’s Victoria Dockside development. Kate Hobhouse, who chairs the 312-year-old food emporium, said the 7,000 sq ft (650 sq metres) outlet, which will include a restaurant with views of Hong Kong’s harbour as well as a store selling tea, biscuits wine and gifts, was a response to thriving demand in Asia. “We have seen significant appetite for the Fortnum’s brand and products in the region, with impressive year-on-year sales growth. ,” she said. The retailer, which was founded in 1707 by William Fortnum, a royal footman, and his landlord Hugh Mason, already operates concessions in Lane Crawford department stores in Hong Kong as well as Isetan Mitsukoshi in Japan and Shinsegae in South Korea but has not previously opened a standalone store outside the UK. The new store comes after a 55% surge in sales at Fortnum’s Hong Kong stores helped boost profits for the group last year. Profits at the company, which is owned by the Weston family who also control furniture chain Heals and Primark owner Associated British Foods, rose to £9.6m in the year to July 2018. Total sales increased 12% to £126m, its sixth year of double-digit sales growth. The group’s flagship shop on London’s Piccadilly increased sales by 10% during the year and online sales were up 21% as its food halls attracted customers from 125 countries.